Directorate of Health & Family Welfare notification has various posts. The candidates who are eligible can apply for this Job. Applicants can download the application form from the official website. Some of the documents should be self-attached to the application from. The aspirants will be selected through an interview. The pay scale for the selected applicants will get as per the norms of Punjab government. Further more details check the official website. The age relaxation for the candidates belongs to SC/ BC is 5 years. Aspirants who are eligible can download the application form from the official website. Fill the application carefully with the necessary details. Along with the application form the candidates should also self-attached two passport photos. At the time of interview, the aspirants must carry the documents. The applications should be mailed to the [email protected] Application forms should be submitted on or before 30th August 2016. The candidates who are selected will get the pay of 15600- 39100 + 5400 G.P + NPA + Admissible PG Allowance. The DHFWS Punjab Medical Officer Specialists Recruitment 2016 Notification released recently on 6th July 2016. Aspirants can check the eligibility details and apply for these DHFW Punjab Jobs before 19th July 2016 and attend the Walkin Interview on given date. The Directorate of Health & Family Welfare, Punjab has started inviting applications through E-mail to fill the 321 Vacancies of Medical Officer Specialists. The department has also said that the number of vacancies may vary depends on the situation they may increase or may decrease. Candidates who are in search of the Punjab Government Jobs (Or) Medical Officer Jobs can use this great chance given by the PB Health Department. The recruitment details such as Eligibility, educational qualifications, age limits, Application Process, and so on are given through the Public Notice i.e., Official Notification Dated on 06/07/2016. The Notification released for the Recruitment of Medical Officer Specialists in different fields. First of all candidates can read the notification to get complete details about the recruitment. The candidates can check the eligibility and speciality wise job details from the current page. Eligible & Interested aspirants can apply for these DHFW Punjab Jobs before the last Date. Users who want to participate in this DHFW Recruitment need to mail the Filled Application form along with the required documents to the given E-Mail before 19/07/2016, 16.00. Applied candidates need to attend the Walkin Interview on 23rd July at the given Walkin Location. The prescribed application form will be available on its official website www.pbhealth.gov.in. Candidates can download and follow the steps provided below to attend the Interview. The number of vacancies are categorised for each Speciality. Aspirants can check the Speciality wise vacancies of Medical Officer Jobs. The details are tabulated below as per given in the DHFW Punjab Official Notification. The Department has declared the Eligibility Criteria. Aspirants who meet the below conditions are only eligible to apply for these DHFW Punjab Jobs. First, you can check the criteria and email the documents to the said E-Mail. Aspirants who completed MBBS Degree/ holding a Post Graduate degree in the relevant specialty which is Recognized by the Medical Council of India may apply. All other details can be given in the Notification. Candidates who satisfy the mentioned Age Limits as on 1st January 2016 can apply for the DHFW jobs. Following are the Age Limits declared as per the Official Notification Instructions. Age Relaxation will be applicable, check the Notification. Name of the Organization: Directorate of Health & Family Welfare, Punjab. Name of Jobs: Medical Officer Specialist. Number of Jobs: 321 [No of Posts may vary i.e., Increase/ Decrease]. 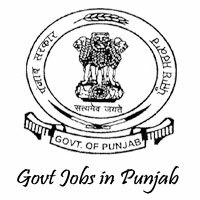 Job Category: Punjab Government Jobs. Pay Scale: Selected candidates will get a Salary of Rs. 15600 – 39100/- + 5400 [G.P] + NPA + Admissible PG Allowance. Selection Process: Aspirants who are applying for these DHFW Jobs can attend the Walkin Interview on 23rd July 2016 at the given Interview Location located at Ajitgarh. Advertisement Released Date: 6th July 2016. Last Date to Apply for the Jobs [send email]: 19th July 2016, 04.00 PM. DHFW Punjab MO Interview Date: 23rd July 2016 (Saturday), 10.00 AM. The candidates who want to apply for the Punjab DHFW Jobs can refer the Recruitment Notification carefully. Follow the Steps given below to apply for the DHFW Recruitment and to attend the Walkin. Go through the Official Website for DHFW Punjab Jobs Official Notification. Interested aspirants send E-mail to the given E-mail address before 19th July 2016, 16.00. Application on prescribed format will be available at www.pbhealth.gov.in. Download the Application form, fill your particulars, attach mentioned scanned documents. Send the documents through the E-mail to [email protected]. The applicants can Walkin into the given Interview location on 23/07/2016 sharp at 10.00am. It is mandatory for the applicants to carry the Original Certificates while attending the Walkin Interview. Candidates who have more doubts can contact on the given number. Aspirants can also need to bring the Attempt Certificates of MBBS and MD/ MS. Applicants who failed to carry the given documents to the Interview Location may face some problems. Read the Recruitment Notification Pdf given below to know the full details. sir i am dr vaishali grover gynaecologist. I want to apply for post of gynaecologist now. I have missed last date of 19july for online application. Can i apply today or cam i come directally on 23 july for walk in interview.